As I have watched/read the news in the past several days, I’m astounded at the evil that is rampant in this country and the world. My heart is heavy for the four Marines killed. My heart is heavy for their families and friends who won’t see them again on this side of Heaven. My heart aches for the children they will never see grow up, graduate and marry. Sons, daughters and wives who will never again hear “I love you.” I can’t wrap my mind or my heart around this type of loss, sadness and pain. I cannot fathom the evil that entangled this kid in its clutches and enabled him to take the lives of these brave men. It’s times like this, I long for Jesus to return. I long for Him to step out of Heaven and say those words I’ve been yearning to hear: “Come up here.” I know that’s selfish, because there are so many lost ones in this world who need Jesus. There are so many who don’t know His Love, and there are so many who haven’t accepted His precious gift of salvation. The selfish part of me wants to go home. However, my spirit longs to take as many as I can to Heaven with me. My spirit longs to save them all. So often, I have allowed fear to keep me from telling everyone I meet about the Love of Jesus. People who know me, know I’m a Christian. But those who don’t couldn’t possibly know, because we’ve met in passing or in a grocery line. I am asking God for open doors to tell of His Love and forgiveness. I am asking Him to open doors to talk about my Jesus and the courage to do so. No fear. No fear. NO FEAR!!! It comes back around to Love again. I John 4:18 says, “There is no fear in love [dread does not exist], but full-grown (complete, perfect) love turns fear out of doors and expels every trace of terror! For fear brings with it the thought of punishment, and [so] he who is afraid has not reached the full maturity of love [is not yet grown into love’s complete perfection].” There you go…where God’s perfect Love is, fear cannot be. I love it when God eavesdrops on my life and my conversations. In this case, He was eavesdropping on my journal entry last night. By eavesdropping, I mean if I’m talking to someone about something either going on in my life, or when I’m having a conversation about Him, if there is a question I need answered or struggle I’m having, He hears. And without fail, He answers. Most of the time, He will answer through a teaching I’m watching or listening to. Other times, it’s the still small voice of Holy Spirit and of course, His Word. She also talked about walking in Love, which is huge for me. She said “When God finds faith in a person’s heart – faith working through Love – then God will do anything he or she asks.” It goes back to the Word, because Romans 10:17 says, “So faith comes by hearing [what is told], and what is heard comes by the preaching [of the message that came from the lips] of Christ (the Messiah Himself).” It’s the lesson God is determined I am to learn. I don’t want to keep circling this mountain. I’ve been doing it for so long, I feel like I’m a participant in the Caucus race from “Alice in Wonderland”, except I don’t win. I just run around in no particular direction, and I will continue to do so until I learn said lesson. This is not the best life God has and wants for me. I am going to be listening to this again, because it was so good, I want to glean all I can from it. She will be there next week as well, and I am looking forward to that. I’m a firm believer in what you say is what you get. That being said, I obviously need to start repeating daily “I’m NOT a procrastinator”. In my first post since January, I committed to try to post every day, starting Saturday morning (yesterday). It’s now 7:05 on Sunday evening, and I’m just now doing it. I wasn’t too busy. I did what I have done really well for several years: I put it off. I reasoned with myself that I would absolutely get to it later. Turns out, I should have been more specific on what “later” actually meant. Matthew 6:33 says, “But seek (aim at and strive after) first of all His kingdom and His righteousness (His way of doing and being right), and then all these things taken together will be given you besides.” It’s all about priorities. I make time for what means the most to me. “For where your treasure is, there will your heart be also.” Luke 12:34. Truth be told, there are three idols in my life. I am the third. I have put myself above God and His desires. My actions have told Him day after day, as I go about my business, His desire to spend time with me isn’t important. I have spent so many years feeding my flesh and giving it whatever it wants, I feel almost numb to the things of God. I love Him, but I’m not IN LOVE with Him. There is no relationship or fellowship, but it’s not for lack of effort or desire on His part. I once read something that stated “if you treated your spouse like you treat the Lord, what would happen?” I can tell you. I wouldn’t have a spouse. I can’t imagine if Jason spent all of his time doing other things day in and day out instead of spending time with me. And vice versa. Being virtually ignored most of the day would not go over well at all with anyone, and yet, I take God for granted every. single. day. I think, He’ll forgive me, because He Loves me. Selfishness personified. A while back, I asked the Lord to show me the root of why I do (and don’t do) things the way I do (and don’t do). His answer was clear. Love. I don’t truly KNOW God loves me. I don’t trust in His Love for me. It’s Agape – unconditional. I can’t earn it. I can’t deserve it, and I don’t have to. I know these things in my head, but my heart hasn’t grasped it. I should be diving into the Word with more tenacity than I dive into T.V. or a bowl of ice cream. I should be looking up scriptures on His Love for me. Understanding how He feels about me – how He sees me – should be the most important journey in my life right now. It boils down to one thing: choice. I CHOOSE to stay in bed every morning (even though I know He’s waking me up ahead of time), instead of getting up and getting my Bible out. I choose to sleep in instead of answering when He whispers for me to come to Him. Most of the time, I have to force myself to go back to sleep! I have NO excuse for not getting up and going to Him. I also choose to turn on the T.V. instead of listening to a sermon or teaching that would feed my spirit. I choose. I choose everything except Him. Things in my life will never change or get better as long as I continue down this path. He wants nothing more than the best life for me, and I find myself thinking there has to be more to life than this. I am overweight, because my spirit is starving. Literally. My choices have put me here. My choices have kept me here. I am very good at verbally jumping in with both feet. The problem is, both feet usually end up in my mouth, because 9 times out of 10, I don’t follow through. I need to do what I say I will do. Period. When the Lord wakes me up in the morning (it’s usually 4 something), I want to leap out of bed and run to Him. He’s waiting. He’s always waiting. He Loves me. He always has. He created me to spend time with Him. He created me, BECAUSE He Loves me. He chose me. He called me. My goodness…. A very dear lady in my life told me a while back I need to search the Word for scriptures of Love. I have yet to do this. It was months ago. So much could have changed by now, had I done what I knew I should do. I CHOSE not to. I chose to keep putting it off. I tell myself every time I hear the whisper of the Father to come to Him, “I’ll sleep now, but I’ll spend time later. I’ll make sure I make time for Him later today.” Make time for HIM? Really?? How arrogant! How selfish! Step 1: Find at least 1 Love scripture a week (unless the Lord recommends more). Memorize it. Write it down. Post it throughout the house, in my car, at work. Speak it out loud all day. “Therefore you shall lay up these My words in your [minds and] hearts and in your [entire] being, and bind them for a sign upon your hands and as forehead bands between your eyes.” Deuteronomy 11:18. As I sit here thinking of all the times I have brushed God aside, the enemy is in my ear “It’s too late. He has given up on you. He doesn’t want you anymore.” I have news for the enemy. IT IS WRITTEN: “Be strong, courageous, and firm; fear not nor be in terror before them, for it is the Lord your God Who goes with you; He will not fail you or forsake you.” Deuteronomy 31:6. IT IS WRITTEN: “Have not I commanded you? Be strong, vigorous, and very courageous. Be not afraid, neither be dismayed, for the Lord your God is with you wherever you go.” Joshua 1:9 IT IS WRITTEN (one of my favorites): “for He [God] Himself has said, I will not in any way fail you nor give you up nor leave you without support. [I will] not, [I will] not, [I will] not in any degree leave you helpless nor forsake nor let [you] down (relax My hold on you)! [Assuredly not!] 6 So we take comfort and are encouraged and confidently and boldly say, The Lord is my Helper; I will not be seized with alarm [I will not fear or dread or be terrified]. What can man do to me?” Hebrews 13:5b-6. Father, I ask You now, please forgive me for not making You THE Priority in my life. Forgive me for putting myself and my fleshly desires above You. Thank You for not giving up on me, and I ask You to continue to awaken me each morning. Thank You for Loving me in spite of me. Thank You for Your Word. Most of all, thank You for Jesus; He’s the reason for everything. I receive Your forgiveness now, and I thank You. Holy Spirit, please give me the scriptures You would have me see and know. Thank You that I have ears to hear, eyes to see and a heart that understands. Thank You, Father, for showing me what true Love is. Thank You for walking beside me in my journey of falling in Love with You. Thank You for continuing to speak to my heart, and I look forward to the many conversations to come. 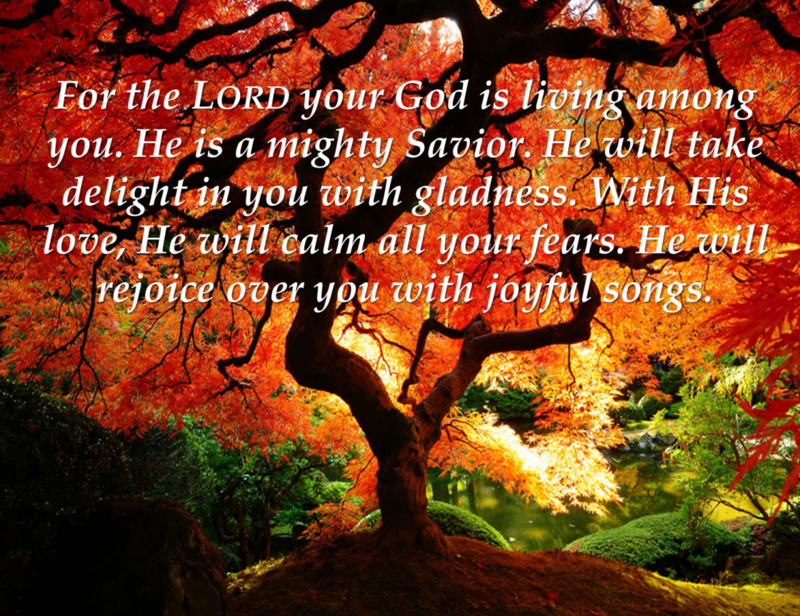 In Jesus’ mighty, holy, awesome and wonderful name I pray. AMEN AND AMEN! As my title implies, God is steering this blog into a different direction. Over the years, I’ve been told by more people than I can count I should journal. I’ve done a couple of entries into a notebook or typed something in a Word document, but I’ve never stuck with it. The few times I have, I was surprised and a bit shocked at the direction my writing took. I found myself looking at what had spilled out of me thinking, “I didn’t even know that was in there.” Or “I didn’t even know that was an issue.” It amazes me how God brings things to the surface. So, starting tomorrow, I’m going to make a conscious effort to journal every day. I may miss a day or two, but this will be me basically spilling my guts. I believe this is the direction God is taking me where this website is concerned. This is a place for me to just journal, but as always, feel free to comment – remembering to keep it nice. I have a feeling this is about to get very real.